I headed over to americana to do some shopping though all I ended up purchasing was rite aid ice cream (lots of yum for the best price ever)... I got the coconut pineapple and mint n' chip. I brought a banana along to create a banana split, w/o the whipped cream and chocolate fudge... 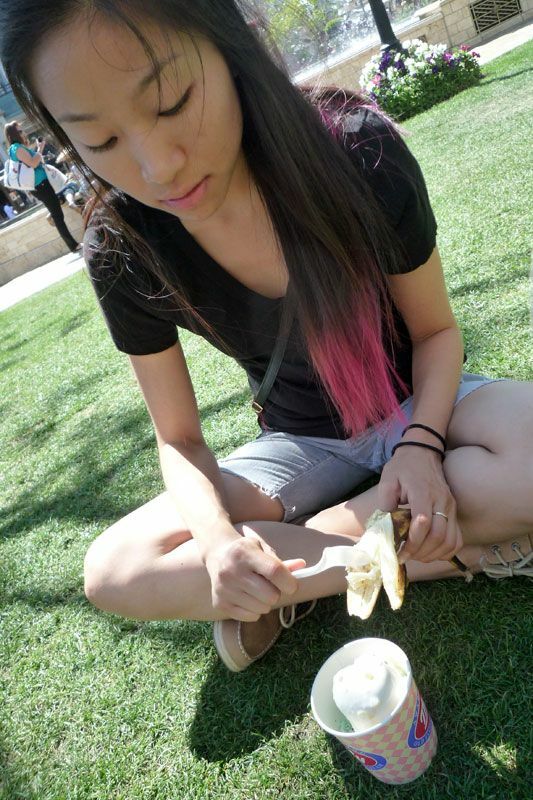 Thus, I sat on the grass and cut pieces into my ice cream. All the while, the jazz band serenading me. Later that night, after dropping off my sister in westwood, we stopped by the only indonesian restaurant that we know. 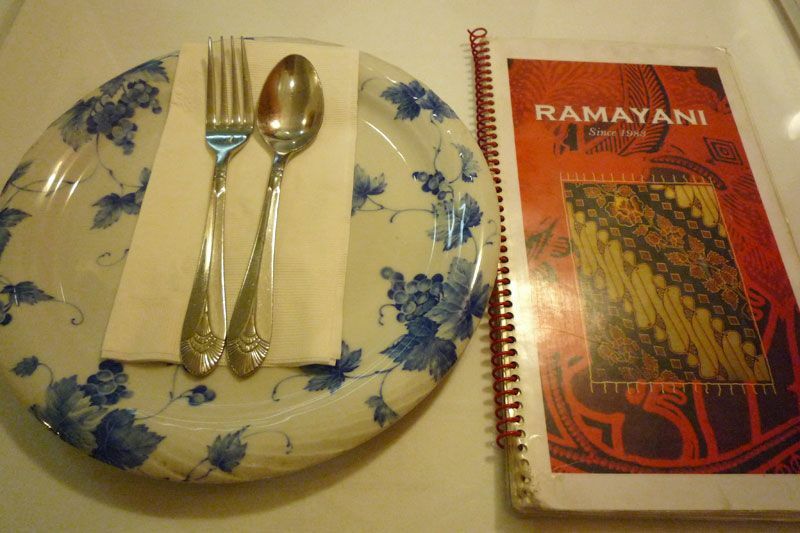 Ramayani. yummy. I'm wearing some "hand me down" cordoroys... Though I bet they were pricey, they were just too 1990s.(c'mon. baby blue bell bottom cordoroys). After some cutting, and allowing the bf to have some fun with his acrylic paints, they were automatically wearable. Too bad you can't see 'em in the picture... I'll prob be wearing them more this summer... So you'll see the final product sooner or later.